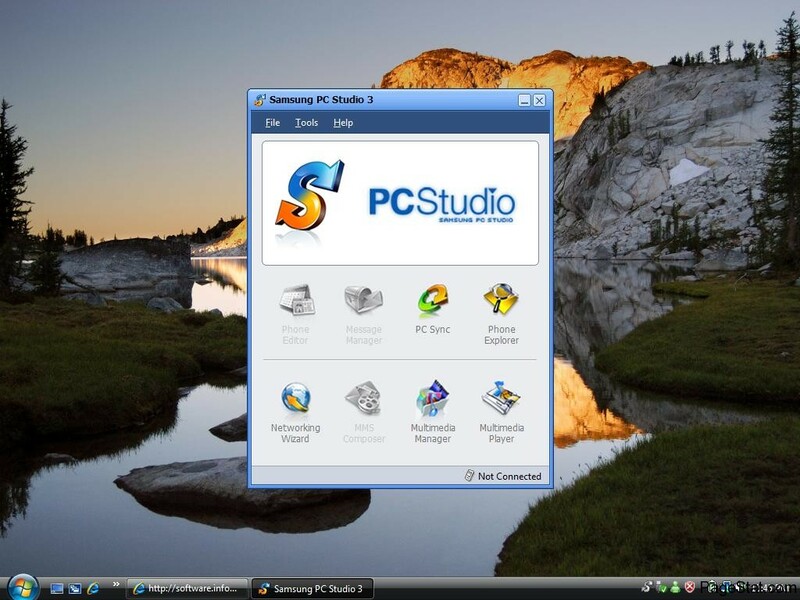 The Samsung PC Studio software is a free software that is created by the makers of the Samsung phone. This software can be used to convert video using your PC computer. As of yet we’ve not found a mac version of the software but one may exist? We guess? Whats so cool about this bit of software, beside the fact that it’s free? Well it is a great way to manage the media on your Samsung phone, as well as gives the ability to actually send messages from your computer itself. Yeah thats right it lets you edit and create messages and then send those messages from your phone. It’s about the coolest way to interact with a Samsung Mobile device we can think of. So download now and have a try. If you are into computers or networking then there will come a time when you need to generate a list of all ip addresses within a range. For this we suggest using Angry IP Scanner to fully create a “range list”. Angry IP Scanner is a utility that has been out for years, and more importantly it’s free. So if you are working on a budget or just wanting to mess around with the local network it’s great. On most networks there are ranges that printers are set up in, ranges that servers are set up in, ranges that switches and routers are set up in, and ranges that the standard mac or pc computers are located in. Well give angry ip scanner a range say 192.168.2.1 – 192.168.2.255 and it will ping and resolve all ip’s and highlight the addresses that are active. Once all ip addresses in that range have been successfully scanned it gives you the option to see any shares on each ip, or use telnet, an internet browser, and a few other options to connect with it. If you are ever on a shared wireless network at a hotel or something this is a cool utility to see how many other computers are also on that insecure network. Embedding avi video in html, php, asp or other web page is simple if you have the code. We’ve needed help with this subject many times in the past so we figured we would just post up the solution for ourselves and friends. The problem? Needing to embed a video into a webpage. The solution? Usually simple html embedded script. For the practical applications of this “tutorial” ,if you even want to call it that, we are going to show you the html code. You are most likely going to want to use the embed tag. It’s the simplest. If you are looking to buy and sell domains then we have a treat for you. PageStat.com has just created a Website & Domain Auction site that will help you do just that. It’s brand new but has been tested thoroughly. Sign Up Today, and get $50 in free credits just for your efforts. That’s enough to list 5 – 10 sites. 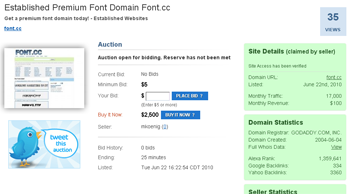 There are no sellers fees like some other domain auction sites, so it really is a good deal. We will be promoting the domain marketplace heavily in the next year so look out for big things. Those are just some of the features you’ll find over at MarketPlace.PageStat.com so check it out, buy and or sell some domains, and be sure to blog and tell your friends about it! We like it so much we’ve put 5 of our domains up for sale, as well. Why does time fly when you’re having fun? This is one of those universal questions that has always been asked right? Well here is what I think. Time is a perception so our bodies must be doing something to change it. (yes i know you physicist out there are going so say time is actually not a perception, but in fact a measurement of space that is effected by gravity and speed) Yadda Yadda… well this is what I think anyway. There are 2 main reasons time flies by. My thoughts on why time flies by when you are having fun are that when you have fun you release endorphins. Endorphins allow you to relax and not measure every little thing. This would hold up if you were to compare times perception when you are working or waiting for water to boil as an example. When you are working you are not having “much” fun and so you are perceiving reality on a painfully slow and boring pace. So when you are happy things go by faster, when you are not so happy things go by slow right? So what happens when you are afraid? Time nearly stands still. You hear people from car wrecks and those who have escaped tragedy say that “It was as if time stood still, everything was moving so slowly”. That would be consistent with our theory then right? So in summation when you are having fun things go by fast, when you are waiting for water to boil things go by slow, and when you are afraid or in shock time slows to nearly a halt. But why? Why does time perception change? Well what benefit does perceptual warping of time have on our existence as a species? When humans feel endangered, slowing down time allows us to react faster and more accurate. If perception is reality then we are really slowing down time so that we may better preserve our life, and pass genes down to future generations. Do you want time to fly by when a tiger is chasing you through the jungle? Or do you want it slow down to a snail’s pace, so that you have a bit more time to think about every move you make? So when does time stop? Time stops when we are at the ultimate end of the spectrum, when we can no longer effectively make decisions. Why can’t people remember the time before and after a car crash or crippling disaster? The person may be totally awake, screaming, yelling, kicking, and biting, but often times not recall anything. Just a thought. What about Aging? Why does time fly for those who are older? Are they having super duper fun? I think time flies because it’s just another day. Your brain has no reason to store the memories of every time you brushed your teeth, every drive to work, every drive home, every meat loaf dinner, and every time you take a shower. I’m not advocating against those things, I’m all for hygiene and working hard, but these “mundane things” are the culprit. Whenever LSD was ok’d for testing during the 50’s and 60’s there was a group at a Harvard doing a study, and one of the things they noted was that the heightened level of awareness that persons perceived on the drug was most partially the result of the drugs ability to shut down our minds filters. Those persons also felt an extension of time. Imagine a child standing on the side of a road as a large truck passes. If this is the first time the child has seen, heard, and felt a vehicle pass then the child will be “in shock” and “overstimulated”. An adult on the other hand will most likely not even notice the vehicle passing. His mind has filtered it out, and for good reason. We don’t need to be overwhelmed with emotions every time a car passes by, we wouldn’t get anything done right? So the more you can enjoy life, and look at things as if you are seeing them for the first time, the longer your life will ultimately seem. So that pretty much sums up my opinion on why time flies when you’re having fun, if you have any comments please post them below.